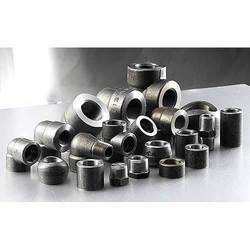 We are a leading Exporter of stainless steel forged fittings, alloy steel forged fittings, carbon steel forged fittings, duplex steel flanges, reducing couplings and titanium forged fittings from Mumbai, India. Size 3/4", 1", 1/2", 3", 2", UPTO 4"
Our company is one of the leading manufacturers and exporters of Stainless Steel Forged Fittings. These products are fabricated using stainless steel in compliance with industrial norms. Our product is acclaimed for their dimensional accuracy and durability. We check quality of our products before dispatch. 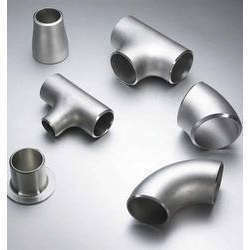 These fittings are supplied to customers within the particular time-period at affordable rates. 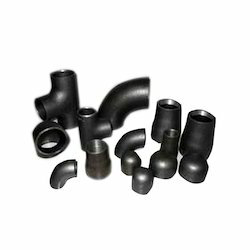 With vast industry experience and knowledge, we are offering a qualitative assortment of Alloy Steel Forged Fittings that is extensively demanded in different industries. 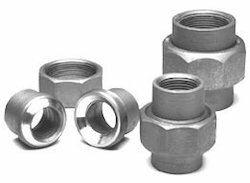 Fabricated with high precision, this fitting is designed utilizing the supreme quality raw material under the direction of our adroit quality controllers. In addition to this this, offered product is accessible at affordable rates to our patrons. We are engaged in manufacturing and exporting a broad range of Carbon Steel Forged Fittings to our valued customers. Our raw materials are procured from reliable suppliers of the market. These products are checked by quality checkers to make sure that they are flawless. Our product range is available in dissimilar dimensions and specifications. We offer our product at very affordable rate. Our range of Titanium Forged Fittings are designed and engineered to very tough tolerances under strict quality control procedures. These titanium Forged fittings are manufactured to provide leak free connections for chemical, processing plants, oil, gas, petrochemical and power generation industries. 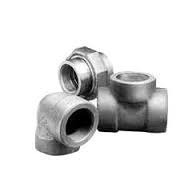 Our valued clients can avail a Pipe Union which are made by usage of high quality material that is procured from certified vendors in the market. We offer these based on the needs of the clients which are high efficient and sturdy in nature. These are provided with accurate dimensions which are perfect for fitting in various industrial applications. With the reliable and well-organized distribution network, we manufacture and export Nickel Alloy 20 Forged Fittings across the world. Our product is noted for its stability. 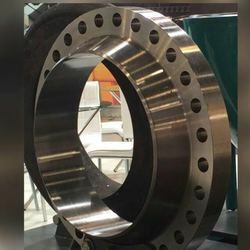 We manufactured using best quality materials, which are in compliance with international quality standards.We offer them at a wide range of shapes and sizes in accordance with the huge industrial requirements. 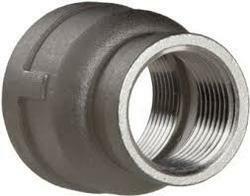 Looking for Forge Fittings ?